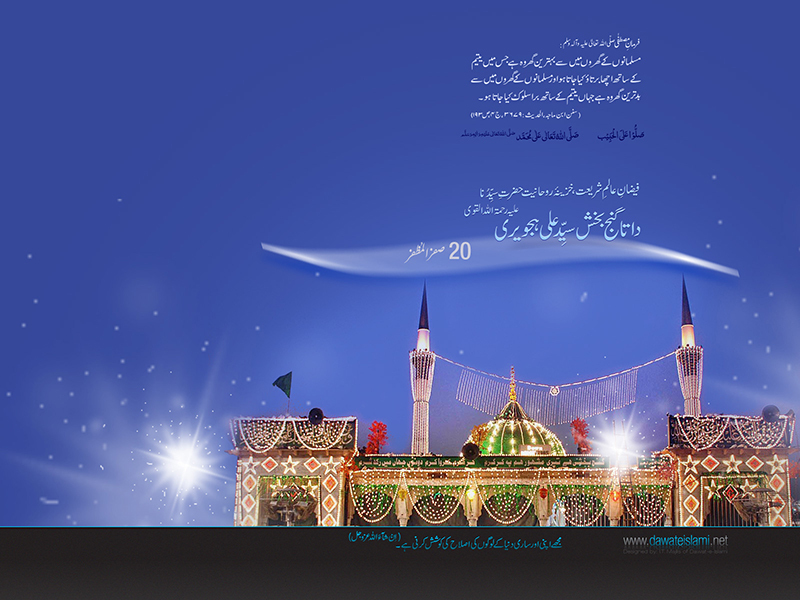 Hazrat Data Gannj-e-Baaksh Ali Haajveri (رَحْمَۃُ اللہِ تَعَالٰیعَلَیْہِ) was born in 400 A.H. in “Ghaazni” Afghanistan. He was from a Syed family “heir of the holy Prophet (صَلَّی اللہُ تَعَالٰی عَلَیْہِوَاٰلِہٖ وَسَلَّمَ)”. He was the 9th heir of Hazrat Ali (رَضِیَ اللہُ تَعَالٰی عَنْہُ) Lion of Almighty Allah (عَزَّوَجَلَّ). After the catastrophe of “Karbobala” many of the heirs of Hazrat Ali (رَضِیَ اللہُ تَعَالٰی عَنْہُ) separated to different continents and between them were his ancestors who immigrate to Afghanistan. the glorious Afghan emperor Sultan Mahmoud Ghaznavi. In Syria he began his religious education under the counseling of Hazrat Abuul Faazal (رَحْمَۃُ اللہِ تَعَالٰی عَلَیْہِ), he ate and slept very less and carried out tough study & self-examination. He meet many Sufi’s saints on a journey to various countries like Syria, Iraq, Iran, Turkey and many Arab countries. should I go to there? Hazrat Abuul Faazal (رَحْمَۃُ اللہِ تَعَالٰی عَلَیْہِ) stated: “Don’t ask questions just travel towards the city of Lahore.” So he migrated from Syria to Lahore in (431 A.H) 1041 A.D. When he arrived in Lahore he witnessed that people were shouldering a casket toward the burial ground for funeral. He inquired whose funeral is it? People answered “it is the funeral of Hazrat Shah Hussein Zaanjaani (رَحْمَۃُ اللہِ تَعَالٰی عَلَیْہِ)”. Hearing upon that he speculated why his spiritual tutor ordered him to travel to Lahore. 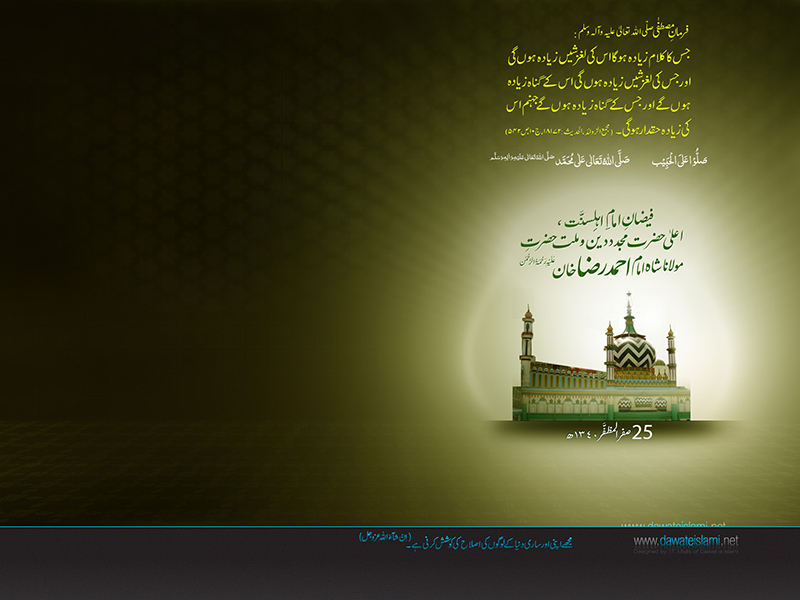 After arriving in Lahore he began preaching Islamic laws and he even constructed a masjid (mosque). to witness his marvels and felt humiliated and apologized heart fully. 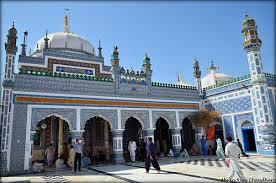 He also constructed a building adjoining the masjid (mosque) and utilized that structure as “Khanqaah” Religious School. Many skeptics agreed upon Islam on his hands and many more conquered the utmost level of spirituality under his counseling. He joined in holy matrimony two times but twain of his wives demised soon after the marriage. Shah Abdul Latif Bhattai (رَحْمَۃُ اللہِ تَعَالٰی عَلَیْہِ) can precisely be named the explorer of the new Sindhi language, Sindhi civilization and community. He is the religious Crown for the people of Sindh. His directives of tolerance, struggle, nationalism and comprehensive love has overstepped generations of political revolution and invasion. And the people of Sindh have experienced this activity with avoidance, pacification and devotion to the loyalty, integrity and values educated by him. The book Sindhi: شاھ جو رسالو‎ is a creative guide of legendary Sufi author Shah Abdul Latif Bhattai (رَحْمَۃُ اللہِ تَعَالٰی عَلَیْہِ). It is a compendium, for Shah Abdul Latif Bhattai’s verses in different patterns of Baayt and Waai which was composed by many of his ardent supporters in the time of his life and after his demise. The ardent supporters composed his verses and entitled it as “Sindhi: شاھ جو رسالو” or verses of Shah Abdul Latif Bhattai (رَحْمَۃُ اللہِ تَعَالٰی عَلَیْہِ). It was published by “Ernest Trump” from (Leipzig) 1866 in Germany named “Diwaan”. Later many philosophers and interpreters have published the “Diwaan” with their personal collections, therefore many publications are handy. The utmost current project was conducted in 1994 by (Amin Khameesani) a philosopher of English literature of the transcription of “Diwaan” into English at the Sindh University. The famous Sindhi author “Sheikh Ayyaz” translated it to Urdu. The script is translated into Punjabi and more currently in French which was launched by Artistic division of Sindh. Some part of the script is also Tran scripted in Arabic too. Shah Abdul Latif Bhattai (رَحْمَۃُ اللہِ تَعَالٰی عَلَیْہِ) was a preacher and trusted in constructive education. Because of his vast excursions he obtained the environment for most of his poetry. He criticized luxury, discrimination and injustice in all ways and at all levels, and admired purity and companionship. His sacred and mystical verses carry a directive of affection and entirety of the humanity. A Message of Shah Abdul Latif Bhattai (رَحْمَۃُ اللہِ تَعَالٰی عَلَیْہِ): He calls for a constant struggle for the awareness of the equitable agreement with Almighty Allah (عَزَّوَجَلَّ) God by living absolutely faithful to the excellence of the harmony and individuality of Almighty Allah (عَزَّوَجَلَّ) and His creations, human beings superior above all. He advises each one of us to hard work over thick and thin. Shah Abdul Latif Bhattai (رَحْمَۃُ اللہِ تَعَالٰی عَلَیْہِ) passed away in (1165 Hijra) on the embankment where he had lived and was entombed there. A grand ruler of Sindh, (Ghulam Shah Kalhoro) was so dedicated to his personality that he constructed a tomb over his grave. Millions of devotees assemble, listen to the Saint’s poetry and perform their invocations. Currently a book repository, a shelter house and an arts and crafts gallery has been built. Shah Abdul Latif Bhattai’s directive is the word of devotion. He trusted in the fraternity and impartiality of manhood and in gratifying Almighty Allah (عَزَّوَجَلَّ) God by good practices. 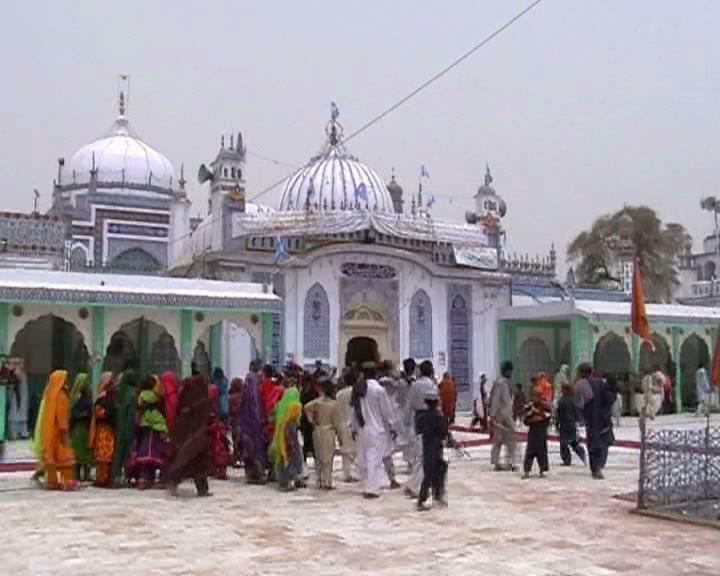 The mausoleum of Shah Abdul Latif Bhattai (رَحْمَۃُ اللہِ تَعَالٰی عَلَیْہِ) is in “Bhiit-Shah” which is situated near “Halla”. It’s marvelous dome can be easily viewed from a radius of many miles. The tomb is been affiliated with the leading road. Currently a book repository, a guest house and a museum is built. The tomb influences the environment.